A couple of months ago, we told you about a so-called Terminator polymer that could heal itself. Now, researchers at Stanford University are using a similar material to improve the durability of lithium-ion batteries so they don’t crack under the pressure of use. 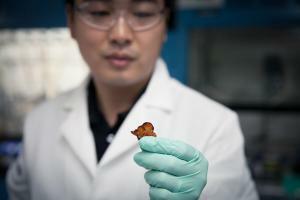 Researchers in Stanford’s and the Department of Energy’s SLAC National Accelerator Laboratory have developed a conductive self-healing polymer and used it to coat the electrode of a battery, which binds the electrode together and spontaneously heals tiny cracks that develop during battery operation. Read more: Click here to full article.